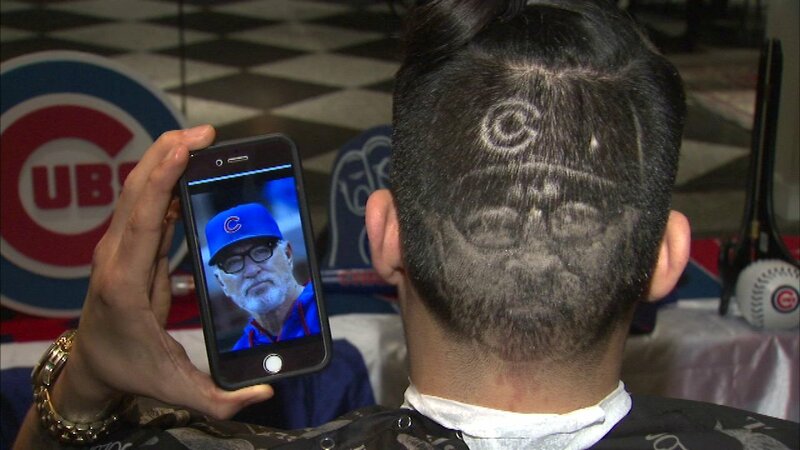 Miguel Rosas cut, shaved and snipped an image of Cubs Manager Joe Maddon on the back of a fan's head. CHICAGO -- A pop-up barber shop celebrated the Chicago Cubs home opener with some hair-raising art at the Acme Hotel Company. The barber also offered up his art to other Cubs fans who stopped by for a style Monday.